When a world-class violinist meets one of the most popular Hatsune Miku original songs of all time, what do you get? An impressive violin cover of Senbonzakura by Lindsey Stirling. With over 6 million YouTube followers Worldwide, Lindsey’s prowess in music and performing arts is well known, and the cover of Senbonzakura comes as a surprise to many. 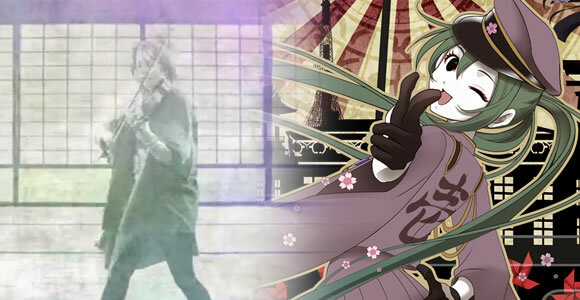 Senbonzakura is one of the most iconic Hatsune Miku original songs created, and was even the #1 karaoke song in Japan for much of 2013 and 2014. View previously featured producers here. The Vocaloid community is full of all kinds of artistic talent, as demonstrated by the countless number of music writers, composers and illustrators. But then we have the group of producers who take on the task of combining all of these works, and bringing them to life in a way that’s hard to visualize with a song and illustration alone. These people are the animation producers, and they have what is arguably the hardest task when it comes to content creation in the community. I hope that you are all enjoying your Christmas Eve, or whatever day you may be celebrating today. In the light of the holiday, I felt it would be appropriate to share some music to fit the season. Below you’ll find several videos of Christmas or Winter themed songs, with the first being a brand new video by SEGA featuring the track “39” by sasakure.UK and DECO*27. Since there’s quite a few videos, you’ll find the rest of them in the full article. I wish everyone out there a safe and enjoyable holiday season, with a new year right around the corner! Happy “Mikumas”! “39” by sasakure.UK and DECO*27. Original song via Nicovideo. This event was certainly… Different. It’s nothing like what any of us have experienced in past concerts, and the fact they live streamed it for free was amazing as well. The concert featured around 300 people that were either playing instruments or singing. In fact, most of the singing was done by actual people rather than Miku herself. Miku had a much lesser role in this event than she did in previous concerts, and she seemed to take a spot as more of a cast member rather than as the star of the show. 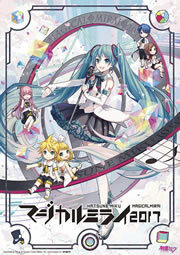 Due to the balance of how an orchestrated concert works, it’s understandable that Miku couldn’t have as much of a major role as she would with a traditional Vocaloid concert. But with as much hype as this event had, I think some of us were expecting a little more. It almost even seemed like Miku was only included as an add-on or gimmick to lure more viewers. But there’s actually a very different possible reason (explained below). Miku herself made an appearance as a Tda MikuMikuDance model and sang certain segments of vocals of the concert. The vocals themselves may seem a bit off to people, but there is actually a VERY good reason for this: This is the first concert where Miku’s vocals were composed in real-time on a YAMAHA keyboard. It’s not prerecorded or “flawless” like the vocals would be with a traditional Vocaloid concert. This is also likely why Miku had a much smaller role. Isao was the founder of electronic music using an electronic keyboard (synthesizer). So it seems that this event was a demonstration or display of a technology similar to what was demonstrated many months ago, all to honor Isao’s iconic art style that helped reshape the future of music. All in all, I really enjoyed the performance, and you should give it a watch when you have an hour or so to spare. You can watch the official recording of the concert below. The event starts at around 29 minutes into the video.